Thanks so much for this great post! One thing I notice when trying to implement it is that it does not work during the initial load of the list view… The spinner is still a dark color, no matter what I specify as the color it should be. On subsequent pull-to-refresh actions, the spinner is the correct color. Do you have any idea why this might be, and how to fix it so it’s the correct color even on initial load? Good call out. I guess I never noticed this because I tend to use a separate loader for initial load. Have you tried moving the renderer logic to a different lifecycle method in the control? Only thing I can think of right away. 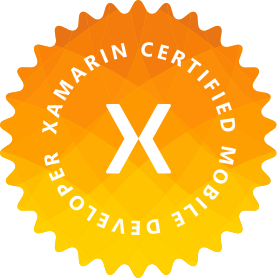 Next Next post: Xamarin.Tips – Create Your Own Star Wars Intro Text!